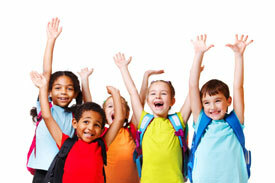 On a daily basis, your child may lug more than five kilograms to and from school in their backpack. This concerns our practice as there is a connection between loads carried and reports of unhealthy spinal symptoms including low back, shoulder and neck pain. By getting your child to see one of our physiotherapists for a check up, we can determine whether your child’s spine is healthy and suggest actions such as flexibility and muscle control to help maximise their spinal health. To keep your child’s spine in good health use the following tips in addition to speaking to one of our physiotherapists. Tip 1 – Choose the right backpack that….